An Osun State High Court in Osogbo yesterday sentenced a 38-year-old woman, Toyin Raheem, to 25 yearsâ€™ imprisonment for stealing N4.5million. Prosecutor Abiodun Badiora said the convict stole the money belonging a telecommunications outlet owned by Wolid Investment Limited (an MTN partner) in Osogbo on June 1, 2018 about 8am. He said the convict, after stealing the money kept in her custody, attempted to set the business outlet ablaze to cover up the crime. Badiora said the convictâ€™s intention was to deceive the owner of the business that the money got burnt before the fire was put out. According to the charge sheet, the offence was contrary to sections 443(A), 390(9),1(1)(A) and punishable under Section 1(3) of the Advance Free Fraud and other Related Offences Act 2006 and the Criminal Code CAP 34 Vol. 11, Laws of Osun, 2003. 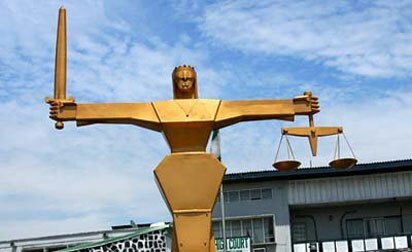 Defence counsel Mr. Abdulfatai Abdulsalam, who prayed the court to temper justice with mercy in sentencing his client, said the convict was a first offender and had learnt her lesson. Justice Yinka Aderibigbe sentenced Raheem to 25 yearsâ€™ imprisonment.